Tucked neatly away in central Florida, Davenport vacation rentals are the perfect way to enjoy the best of both worlds - the energy and excitement of Florida's major attractions and the peaceful charms that only a small town can offer. Davenport is just a short drive from Orlando and Tampa. Yet, this tiny Polk County city of less than 3,000 residents is located in one of the state's most significant agricultural regions. A Davenport vacation condo rental or house rental is the perfect way to enjoy the busy, bustling attractions of Disney, Orlando, and Tampa, while still having the luxury of private rest, rejuvenation, and the assorted pleasures of the natural beauty of the central Florida region. 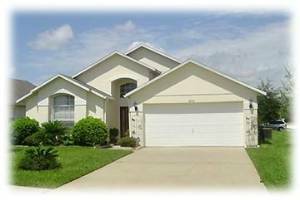 Many people choose Davenport vacation rentals because they are close enough to Disney to be convenient, but also far enough away to be out of the tourist traffic and noise. However, this region has quite a bit beyond Disney to offer vacationers, including outdoors activities, a variety of cultural pursuits, dining, shopping, and an assortment of other interesting activities and entertainments. Golf players will be pleased with the local golf courses. With two Greg Norman designed 18 hole championship golf courses, Champions Gate Golf Resort offers a memorable golfing experience. Ridgewood Lakes Golf and Country Club and Highlands Reserve Golf Club are also excellent local golfing options. Both are affordably priced with a pleasant, comfortable setting. There are many local and regional activities available within an easy drive of most Davenport vacation rentals. Polk County's beautiful historic landmark, Bok Tower Gardens, is a wonderful day trip. This bird sanctuary, with its amazing singing tower and surrounding gardens, is simply gorgeous and has been attracting visitors for about three-quarters of a century. Exciting hot air balloon rides are available through Thomson Aire. Fantasy of Flight is a unique aviation museum, housed in a gorgeous Art Deco inspired building. It is unique because some of the exhibited planes are flown above the grounds for aviation history fans to enjoy. If you want to learn how to water ski, Jodi's Ski School is the place, with its expert teaching and smart technology. Whether you're in the mood for picking up some take-out and enjoying a quiet dinner in the peaceful surroundings of your Davenport vacation rental house or feel like dining out, there are numerous delightful culinary options to choose from. Dhaba Indian Cuisine, the Zen Asian Grill, and the Bamboo Wok are a few of the excellent take-out options. For sit down dining, Saki and Kumo both feature Japanese cuisine. The Shamrock Pub and Grill offers American food and a few Tex-Mex fusion sorts of dishes. And, although it is a chain, the local Cracker Barrel restaurant is worth a visit, with its sold comfort food galore menu. When it comes to booking Davenport vacation rentals, whether you are looking for vacation condos or houses, your best bet for a bargain is to start browsing well ahead of your departure date. That way, you have the best chance at being able to find a great rate on accommodations for rent direct from owner, rather than having to go through an agent or manager. Cutting out the middleman is a great way to save vacation money and have a bit more in your pocket for enjoying the natural beauty of central Florida. Check out nearby Celebration , Clermont , Disney , Haines City , Kissimmee , Orlando , Winter Haven .